Hey Matadors! 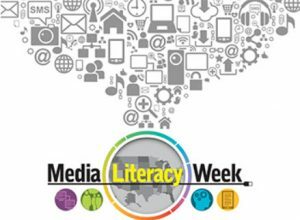 In celebration of National Media Literacy Week, the Oviatt Library is partnering with several departments and organizations to bring you some exciting events. There will be a screening and live-tweeting of the documentary “Digital Disconnect: How Capitalism is Turning the Internet Against Democracy” on Tuesday, November 6 from 11 a.m.-12:30 p.m. in the Jack & Florence Ferman Presentation Room. Based on the work of renowned scholar Robert McChesney, “Digital Disconnect” helps make sense of how the Internet and our digital devices have revolutionized the way we work, play, connect and communicate. This event is brought to you by Jour372 Diversity and Media’s Commit2MediaLit Project which is a community engagement collaboration with the Center for Media Literacy and the Oviatt Library. Refreshments will be served. For more information visit our RSVP page. 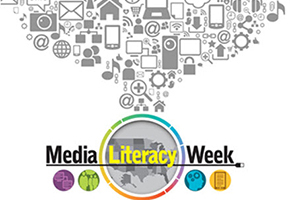 Also to celebrate National Media Literacy Week, we invite you to come hang out with students in Jour365 – News Literacy on Thursday, November 8 from 11 a.m. until 2 p.m. to discuss and exchange ideas about politics, culture, and the arts in the Oviatt Library Learning Commons, near the Reference Desk. This informal discussion is a collaborative effort between the Mike Curb College of Arts, Media and Communication Department of Journalism, NewseumED, and the Oviatt Library. We hope to see you at both events! Next Post Need Help Finding and Using Images for Your Research Project?